Police are appealing for information after 15,000 litres of diesel was stolen in Northumberland. 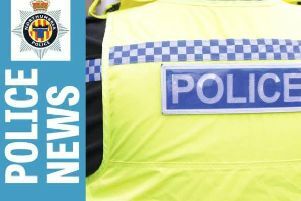 On Tuesday, April 21, police received a report that thieves had stolen diesel from a fuel storage tank at a compound in East View, Choppington, to the south-east of Morpeth. The theft could have happened anytime between June 2014 and April 2015. The thieves had used syphoning equipment to remove the fuel from the storage tank and may have visited the site on more than one occasion. Inquiries are being carried out into the theft and anyone who has seen any suspicious cars or people in the area, or who has any information into the theft, is asked to contact police on 101 ext 69191, quoting reference number sn 597 21/04/15.